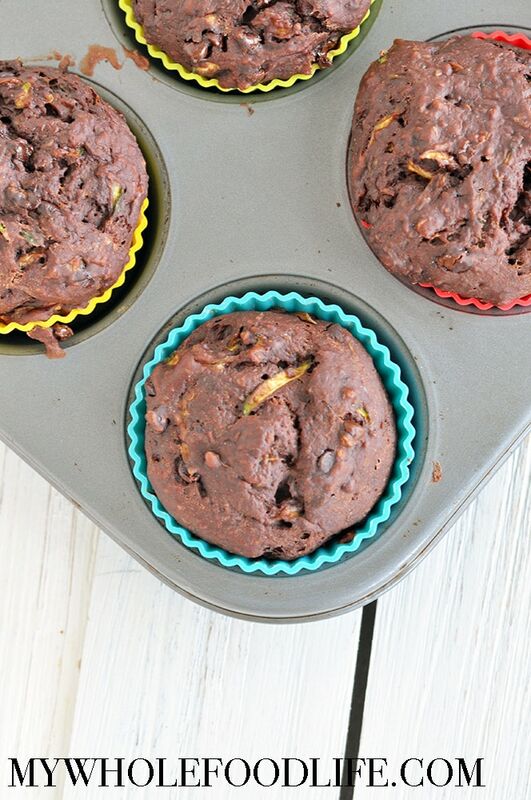 Chocolate Zucchini Muffins. The other day, my in-laws gave us a bunch of zucchini from their neighbor’s garden. 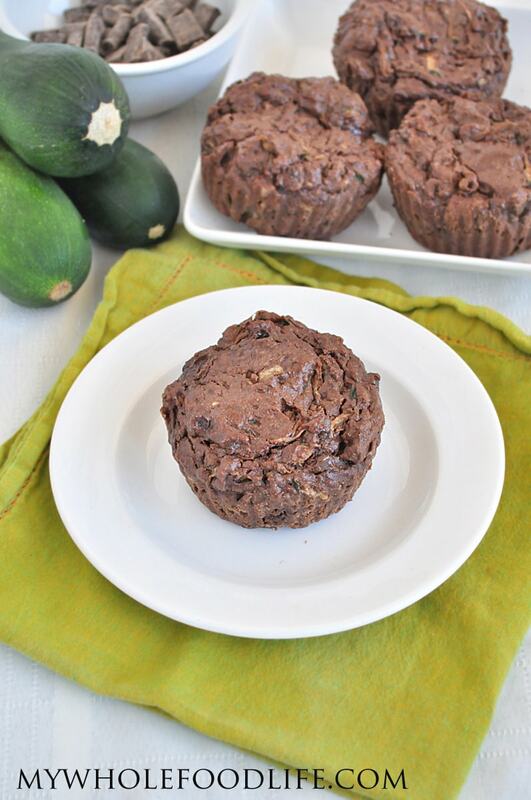 I have been wanting to make some healthy zucchini muffins for a while. So I set out to make some muffins. My vegan zucchini muffins are not only vegan, but they are gluten free as well. If you like muffins, you may also like my Banana Blueberry Muffins or my Pumpkin Chocolate Chip Muffins. 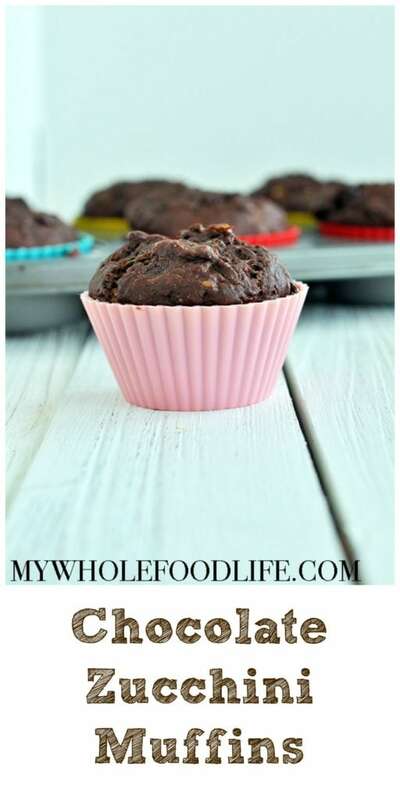 These muffins not only pack a hidden serving of veggies for the kids, but they are also oil free as well. This recipe is very easy to make and freezes well too. 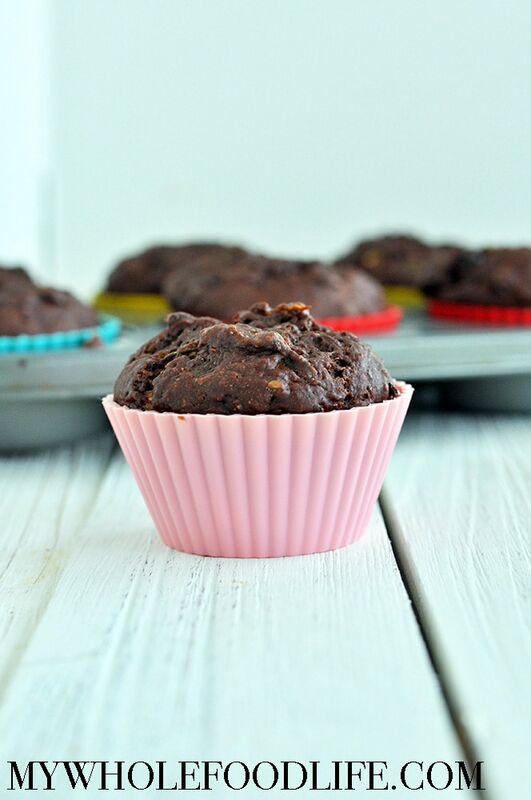 A healthier muffin with a hidden serving of veggies! Mix wet in another bowl. Spoon batter into lined or greased muffin pans . I use silicone liners that work awesome. *** If you use a medium to large sized zucchini, you will need to squeeze out the excess moisture. These turned out fantastic! Your blog is making it so much easier to go gluten free with my four year old. Thank you so much. As you suggested, I squeezed out the excess water since I had a larger zucchini and we had no texture or baking issues. Do you shred the zuchinni skin and all, or do you peel it first? I am sorry you did not like them. :( I am not sure what happened. OMG! I made these today and they are delicious! I am watching my sugars, so I subbed brown rice syrup for the maple and I wasn't sure how they would turn out. I am sure they are less sweet tasting. And even though I have eaten zucchini before, I have NEVER bought one for myself. Anyway, I am amazed. This recipe is a definite keeper in my book. I believe I have found the brownie substitute that I have been looking for -- the texture and chewiness are just right. I have been also going wheat free and I have not enjoyed the texture of other flourless chocolate recipes. (i.e. black beans, etc...) The funny thing is I only tried this particular recipe today because I only had to go out and buy one ingredient. (I was out of cocoa powder) Thanks! I better hurry up and freeze them, I have already eaten two and I am sure I will eat at least one more tonight! I am so glad you liked it Michelle! Hi Melissa, I made your Chocolate Zucchini muffins this afternoon. I wanted to use up some zucchini, but only had enough to make half a recipe. They tasted delicious, but for some reason my muffins didn't rise very high. I followed the recipe exactly, with one exception-I ground my gluten free oatmeal to make the flour. Would that make a difference in how the muffins turn out? I also, really enjoy your Healthy Pumpkin Chocolate Chip muffins. Thanks for the great recipes. I'm pretty new to this way of eating and cooking, so your website has been a great help and much appreciated. Hi Barb! Sorry they didn't rise much for you. :( I have also made my own oat flour with no issues, so I don't think that was it? Maybe the zucchini had a little too much moisture? Just a guess. cooked mine longer, and they were yummy with raisins (i was out of chocolate chips and wanted a spot of sweet inside) Good flavor, but they don't rise much. All the family enjoyed and will keep them in my file. Glad you liked the flavor Laura. :) Yes, they don't rise that much. If you are looking for more of a rise, maybe adding an additional tsp of baking powder would help that? So excited to try another of Melissa's awesome recipes! I want to make this recipe as mini muffins for potty training (pray for me) incentive rewards. Any thoughts on a baking time adjustment for mini muffins? Thanks so much! Can you use regular eggs? And if so how many? Thanks.